Greatness is a bunch of small things done well, added up over time, that most people think are too small to matter. Thank you for leaving your link.. 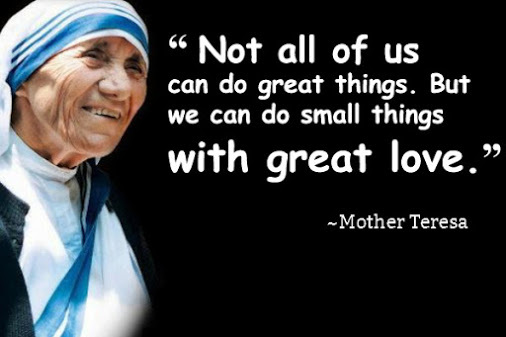 I love that particular quote from Mother Teresa.